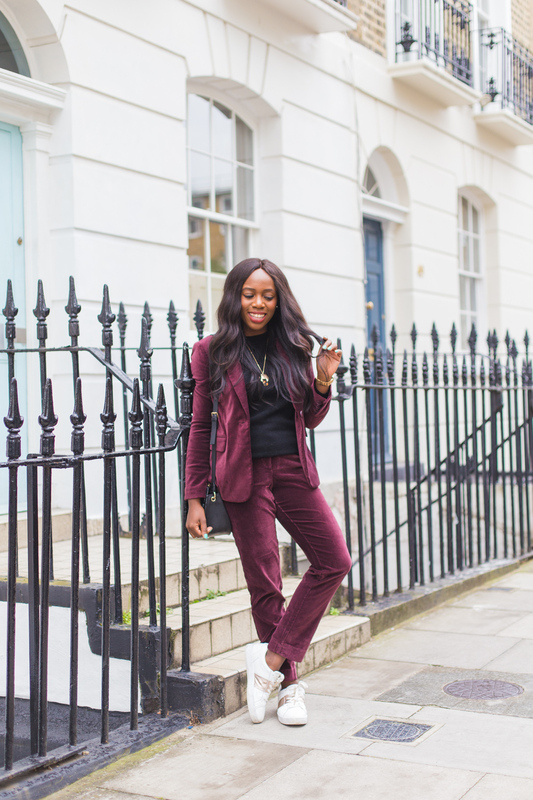 Look of the Week: Ugh, velvet on velvet and in the form of a suit?? Please and thank you. I'm now having major outfit envy thanks to Kristabel. Blog I've Started Following: I started following Courtney and immediately my feed was filled with vibrant colors, adorable outfits, and that beautiful smile of hers! I am flat-out in love with this outfit - those colors together? That jacket, those shoes? L-O-V-E.
Instagram of the Week: Okay how fun are these earrings from bando? I don't know if I could ever pull them off, but I'm kind of wanting to give it a try. What I'm Reading: After finishing The Underground Railroad, which was phenomenal, our next book club pick is My Name Is Lucy Barton which catalogs a woman's broken relationship with her mother, her harsh childhood, and her current mysterious illness. I'm about halfway through (it's a short read!) and I'm enjoying the sparse but poetic writing so far. What I'm Wishlisting: I have too many jeans. But I don't have any stepped hem jeans, so this ASOS pair has made my I-shouldn't-spend-money-but-I-can-dream wishlist.